At Tegernsee Landsdstrasse 61 in Munich, since 1927, the headquarters of the "Aktiengesellschaft Anilun Fabriktion" have been located, for short it was called 'Agfa Kamerawerkre'. The company was founded in Berlun in 1867, taken over by Bayer AG, Leverkusen in 1927, and integrated into the IG Farben, which was associated with Rayer AG. Since 1928, only laboratory instruments have been produced in the Munich camera factory. Over the past few years, the Munich management and research departments have been there it's operation. In November 2004 assets of the company were sold to German and American investors. In 2005, the company announced its insolvency. Both Agfa and Gevaert were established in the nineteenth century. Business boomed and soon the original premises became too small. During the second world war, the optical and precision mechanical production of the camera works was converted to a war economy and produced ignition timing devices for bombs, artillery ammunition and V-1 and V-2 rockets; they used every opportunity to sabotage the production. In January 1945, citing the lack of food, the prisoners conducted a strike, an unheard-of action in a concentration camp. As a result in change of production, the Agfa camera factory was considered a war-time operation and since 1942 more than 800 foreign forced laborers had been working there as a a prisoner commando from KZ-Dachau. On 13 September 1944, 500 women from the KZ-Ravensbrück were brought to Munich to work. At the end of October 1944, the subcamp changed again, but the number of prisoners remained around 500 inmates. Those kept mainly in this subcamp came from Poland, Holland as well as women from the Ukraine and France. About five hundred prisoners from Eastern and Southeastern Europe, mainly Poland, arrived from Ravensbrück concentration camp on 13 September 1944. Little is known about the Polish women except that many of them were taken as slave labor in reprisal for the 1943 Warsaw Ghetto Uprising. Ludwig Eiber mentions a forty-year old Polish women who died on 7 October 1944.] In December 1944, after a Christmas party, two of these prisoners escaped, dressed as Josef and Maria in some borrowed clothing. According to an unconfirmed account of Leni Leuvenberg, twenty Polish women were killed during a bombing on 25 February 1945. In October 1944, 250 Polish prisoners were sent back to Ravensbrück, in exchange for 193 Dutch women, ten women from other West European countries and fifty women from Eastern and Southeastern Europe. Among the latter were twenty-one Slovenian political prisoners, mostly (communist) Yugoslav Partisans. The Dutch women arrived on October 15, 1944 from Ravensbrück where they had arrived in September from the Dutch concentration camp Vught. Most had been active in the resistance and had formed bonds already in Vught. They were a cohesive, supportive group; they marched singing into the cattle cars in Vught and walked singing into Ravensbrück concentration camp. Out of the 193 Dutch women, only two died just before the war's end. In comparison, a third of the Dutch women that stayed behind in Ravensbrück did not survive. The accommodation of the women was a three-storeyed Wiohnhaus (dwelling), which was not yet completed, located in today's Weissenseestrasse 7-15 in Munich. A survivor of this KZ-sub camp recalled that the house was also home to civilian workers. Apart from the standard two-storey beds, there were only a few wooden tables and stools in the apartments. On the ground floor was a Revier (Hospital) for sick inmates. Next to the house there was a barrack, where the kitchen and the dining room were installed. The camp was fenced-in with barbed wire and four watchtowers. Commander of subcamp's Agfa camera works was SS Untersturmführer Kurt Konrad Stirnweis. In February 1945, the Latvian Alexander Djerin came to the Weissenseestrasse as deputy commandant. His predecessor is not known by name. On the one hand, the commanders are portrayed as being strict and dutifully, on the other hand, several prisoners wrote thanksgiving letters to Kurt Konrad Stirnweis after the war, because he had worked for the women for better conditions. In addition to the two commanding officers, there were ten SS-female Aufseherinnen (Warden) and one Ober-Aufseherin as the superior over her team and the women in the subcamp. Above all, an older warden of them with the name Richter beat the women frequently. Yet the entire SS guards were lodged with the prisoners in the sane dwelling-house. The hygienic conditions in the camp were inadequate, only once a week the women received warm water. In the prisoners' revier (hospital) the women were able to recover temporarily when the prison doctor Ella Lingens issued a bed card and they did not have to go to work. But there were also serious diseases such as stomach-typhus, scarlet fever, tuberculosis, and most important scabies. 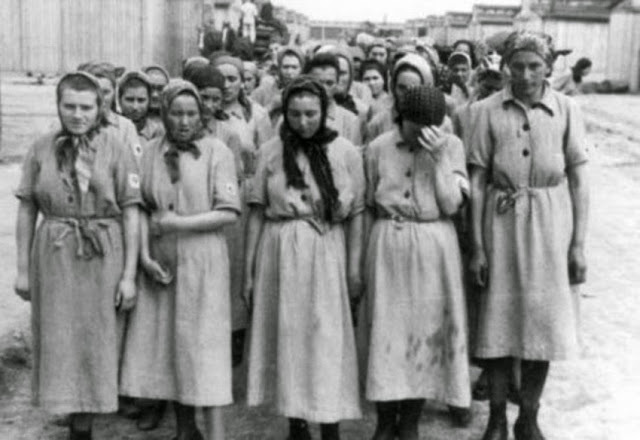 The women, who fell ill for a longer period, were transferred back to the KZ-Dachau. [ Ella Lingens was a doctor who was in Auschwitz as a political prisoner and spent several months in the Agfa-Commando, she died November 2002 in Vienna.sic]. Most of the women suffered under the deficient food and the cold. They had no coats in the winter, only a few blankets and almost no fire wood. They were particularly cold because the windows of the dwelling-house were destroyed after air raids, and they were no longer protected from wind and cold. Frequently, the sleeping mattresses were covered with snow. Because of the lack of food, the thieving from the potato cellar in the basement of the Wohnhaus became a habit and was due to the lack of food. The portions became even less after X-mass 1944 and condition became worse on a daily basis ever since, so that the Dutch women protested against the lack of food.They stopped the assembly line in Agfawek and refused to work. The commandant was very angry, had the names of the strikers listed,and wrote a report to Berlin. As a 'ringleader' the Dutch Johanna Maria Vaders was suspended and in January 11945 sentenced for seven weeks in the Dachau bunker. In January, 1945 the 14-mile (23 km) road from the main camp in Dachau had become impassable as a result of the Allied bombings. The meals now became the responsibility of the Agfa management. The soup deteriorated by the day, and few women were spared digestive problems and complications from undernourishment. Disease was rampant: there were outbreaks of typhoid fever, scarlet fever and tuberculosis. Conditions at the main camp were no better; as the war drew to a close, Dachau became increasingly overcrowded with prisoners evacuated from other concentration camps. Consequently, transfer from the Agfa sub camp to the to the main camp's dispensary was close to a death sentence. When the factory took over the distribution of the soup and started watering it down, while at the same time trying to raise the production quotas, the Dutch women spontaneously crossed their arms and stopped their work] The other women joined the protest. Strikes were unheard of in the concentration camps, so this would lead to severe punishments. In the end the women made their point that they just could not work under the conditions of a starvation diet and constant bombing raids. The chief Gestapo agent Willy Bach came down from the headquarters in Dachau and tried to find the instigators, but no one came forward. In the end, Mary Vaders, who had arrived from Ravensbrück on October 15, 1944, was selected at random and incarcerated in the Dachau bunker cell for seven weeks of solitary confinement. She came back damaged but unbroken. The remaining Dutch and and other women were punished with hours standing in formation in the court yard. The sub camp had two Polish Kapos and one camp-Elderly. Camp-Elderly was initially the Dutch Winni De Winter and later a young Dutchwoman. For the working session the women were taken by their SS-guards on foot to the Agfa camera factory in the Tegernseer Landstrasse about 20 minutes on foot. Civilian workers assigned to them had to monitor the women during work hours, [mainly to check for sabotages,sic] . The prison women were employed in the production of aircraft parts for the Luftwaffe. Kazimiera St. had to produce capsules and rinse them with a corrosive liquid. Most women worked at least twelve hours, if they did not reach the given standard even longer. An Ukrainian woman tried to flee once, but was quickly caught again. Before she was transferred to the Stammlager (Main Camp) Dachau after a few days, she was held as a punishment without food, right beside the food distribution. Then a young Russian girl broke out of the camp, but returned after a few days, because she could find nothing edible and no support in keeping her hidden. On 27 April 1945 the camp Agfa camera works was evacuated. Commander-in-chief, with approximately 500 women and his deputy Djerin and ten SS-female wardens led them in a southerly direction. In Wolfratshausen the women refused to carry on, and sought shelter in a barn. On the following night, the guards fled, and the next morning, May 1, 1945, the women were liberated by American troops. As the war drew to a close and American TROOPSl began to encircle the region, production at the factory halted on 23 April 1945. The Allied bombings and the advance of the Allied forces had cut off the supplies of raw material and distribution of the products. The camp commander was ordered to evacuate the prisoners and begin their death march in a southerly direction The women were given a small sausage and a piece of bread for the journey, with their standard bowl of soup for their previous evening meal. Against his SS-superiors' orders, Stirnweis halted the march on 28 April just outside the town of Wolfratshausen and further persuaded a farmer named Walser to shelter the five hundred remaining prisoners in his hayloft. Despite specific orders to the contrary, he did not resume the march, but let the women shelter in place until the American troops drew closer. On 1 May 1945 Stirnweis surrendered to the 12th Infantry Regiment of the 4th Infantry Division of the US Army and asked for protection of the prisoners. After about a week on the farmFöhrenwald. This was the largest and longest-lived resettlement camp in post-war Europe. From Föhrenwald, the women were repatriated by the Red Cross. Initially, and based on cursory evidence, Stirnweis was accused of participating in cruelties and criminal usage of prisoners of war and civilians and sentenced to two years of labor after the war. However, the testimony of many of the women revealed no evidence of atrocities committed at the work detail at Agfa Camera works. According to former prisoners' testimony, sub-camp commander Lieutenant Kurt Konrad Stirnweis was a reasonable man. His sentence was abrogated upon the testimony of his former charges. His deputy, a 29-year-old Latvian named Alexander Djerin,was sentenced to six years imprisonment for his cruel treatment of the prisoners, commencing 9 May 1945. Although there was no suggestion in the trial records that Sergeant Djerin had mistreated the women, he was convicted of mistreatment of prisoners during his work at Dachau. In October 1940, Adolf Hitler ordered to use inmates of concentration camps and prisoners of all kinds to remove Allied bombs, duds, and long-term detonating devices. Above all in the last two years of the war, prisoners from the KZ-Dachau were used to retrieve duds or those having ignitions with long-term detonators installed. When they arrived at the Stielerschule, they were promised to be relieved of intensive punishment (Erleichterung), or even to be released from their internment, but they were threatened with execution for theft, attempted escape or contact with the civilian population. Then they were taken to the Roman Road, a reporting office for bomb locations for a brief intensive instruction and divided into smaller six groupings. Then the prisoners divided themselves again into individual teams, and were driven by Feuerwerker (Disposal Experts) of the Wehrmacht to their assignments in the urban area, to defuse bombs without knowing how.Yet an inmate remembers that he defused 246 bombs. Flying Fortresses of the 303rd bomber group (Hell’s Angels) drop a heavy load on industrial targets in Germany. Reports by the Luftschutzkommando Süd (South) show that a Feuerwerker of the Wehrmacht was in charge and was supported by an SS post to guard the prisoners. Sometimes members of the police were employed as guards. Because of the work outside fixed camp limits, the danger of escape was great. From an escape attempt of Hans Busche, who was kept in Protective Custody, on 16 September 1944 a report by the Schutzpolizei Section Ccommand South indicates that Busche could not be found even after an extensive search. His remaining whereabouts is unknown. There are no indications on the closure of the sub camp at the Stielerschule. It is, however, certain that, up to the end of the war, that the bomb disposal within the greater area of Munich was carried out by prison inmates from Dachau. The investigations of the office of the Landesjutiz Administration in Ludwigsburg during the years 1973/74 remained unsuccessful. In 1989, a commemorative plaque for the detainees of the Bombensuchkommando was installed at the Stielerschule. Presumably mid-summer 1944, the Munich branch of the SS adjudant took over a 2,500 square-meter area in about 250 meters north-east of the station on today's Finsingerstrasse. There were already barracks on the site, in which prisoners of war had previously been lodged. The first transport with prisoners from the KZ-Dachau arrived in Markt Schwaben on 2 September 1944. This type of sub-camp belonged to the central construction unit of the Waffen-SS. It was their job to unload building material from railway wagons at the station and take them to the site. There, in addition to the already existing two barracks, further makeshift buildings should be erected, apparently, for the installation of the offices of the branch of the SS Adjudantur from Munich. .The number of prisoners employed by the SS-Arbeitskommando at Markt Schwaben amounted to 19 persons. The prisoners came from almost all European countries and belonged to different age groups. As a rule, the detainees were taken truck in the morning and returned in the evening to Dachau. Occasionally, however, they stayed for several days on the site. In these cases, they were placed in one of the two existing barracks. Here there was a bunk for each prisoner, with a straw bag for a mattress, a head pillow, and a blanket with bed sheets,proper bed linen and pillowcases. The food rations corresponded to those of the KZ-Dachau. The SS guard team consisted of two men. As accommodation they used one of the other two barracks. In this building, the commander Alfons Schnitler also had a room at his disposal when he was present. According to a prisoner, a non-electric, double-stranded barbed wire fence, completely encircled the terrain, and was merely accessible through an entrance at the railway side via a gate and was meant to oversee and supervise a right-angled area. In addition, the SS men had a watchtower at their disposal, which was arranged diametrically to the two barracks with their barred windows in the southern side of the camp. During the the night, a lantern was set up between the two barracks to light up the grounds. Although the population of the village was able to observe the work of the prisoners on the open-air site of the sub-camp on the outskirts of the hamlet, they nevertheless were unaware as to the background of the perceived events. The fact that this was a case of prisoners in the service of the Munich Branch of the SS Adjudantur of the Personal Staff of Himmler hardly knew anyone. On 23 April 1945 the sub-command Market Schwaben was dissolved and at that time seven prisoners were sent back to Dachau. The construction of the buildings planned on the site had not yet come to the point of completion. One week after the closure of the camp on 1 May 1945 US troops entered Markt Schwaben. In the summer of the same year, the two barracks were demolished near the railroad crossing to Finsing. In order to maintain or even increase the production of fighter aircraft, the "hunter staff" Jäger Stab) was created in March 1944, to which members of the armaments and aviation ministry as well as other industrial complexes belonged. The main goal was the creation of bombproof premises. To this end, the organization Todt (OT), which came under the responsibility of the Ministry of Defense, should build half-underground concrete bunkers of several hundred thousand square meters of production space. Four of the six bunkers were started, only two were completed, yet only by two thirds each. One was at Mühldorf am Inn in Oberbayern, the other at Landsberg am Lech. The buildings received code names for secrecy and security reasons, the code 'Weingut I' was used for Müldorf. Construction projects were placed with the organization Todt, the actual work was carried out by the company Polensky & Zoller, who in turn hired additional companies under contract. The construction company of the SS-Weinguts-Betriebs-GmbH, located in the nearby Monastery Zangberg at Müldorf, was managed by Martin Weiss, the former commander of Dachau, as the special commissioner to the SS group of the SS-WVHA. Within the SS-Weingut-Betriebs GmbH, was in fact a conglomerate of 42 companies - including AEG, Siemens & Halske, Siemens & Schuckert, Telefunken and Carl Zeiss -who were all involved in the construction of the planned manufacture of parts for the Messerschmitt 262 jet fighter aircraft. Shortly before the end of the war, in March 1945, SS Obergruppenführer Hans Kammler seems to have taken command of the project that previously was undertaken by the OT, with that the OT had lost the construction authority to the SS-Commander Kammler, but the construction activity was already more or less at this time at a standstill. For the building of the bunker an effective and simple new procedure was employed. First an underground "extraction tunnel", fitted with a single train track and a gated roof, was built along the entire length of the planned bunker. Next the foundations for the abutments, which were up to 17 m thick, were dug. The gravel extracted from the foundations was piled up between the foundations to support the arches while they were being built, essentially serving as formwork instead of traditional wooden scaffolding. As each arch was completed, the gravel beneath it was dug out and dumped through the gates of the extraction tunnel into waiting mine carts, which would then be taken away. When the tunnel had been completely uncovered it would be disassembled and backhoes would continue the excavation to a depth of 19.2 meters. Starting from the east, one arch after another was erected in this way. Eight floors were to be erected beneath the arches, but this was only begun with the first arch. By the end of April 1945 only seven of the projected twelve arches were completed. In the last months of the war it was no longer possible to obtain the necessary materials and workers in order to stay on schedule. A large part of the forced laborers who had been made available for the construction of the bunkers were Hungarian Jews. In the near vicinity of Mühldorf, from July 1944 on-wards, the camp was subordinated to the KZ-Dachau: two larger ones, with each holding between 2,000 and 3,000 prisoners, namely Mettenheim near Nühldorf and the forest camp at Ampfing, as well as smaller camps, one at Mittergars, and the other at Thalham in the municipality of Obertaufkirchen. Not a camp, but presumably a working crew, was the Konnando 'Weingut Zangberg' lodged in the Zangberg Monastery, with 60 prisoners, presumably these were kept separately for billing purposes - not part of the OT superstructure management, but the SS itself was the employer, and run independently. . Metterheim I was set up in barracks of a former Luftwaffe Clothing Depot, while the forest camp V, IV - the peculiar Roman numbering method resurfaced from other forest camps near Mühldorf, which were not part of the KZ-system. In the so-called Srammlager (Main Camp) the Finn- and Nissen Huts were used by the organization Todt who had this type of building method also used in the Soviet Union. Unfortunately, those in use had proved to be inadequate, and were re-built according to designs of the OT-Erdhütten,(Earth-nuts) with only the tent-like roof above ground. Concrete details about the construction of Camps Mittergars and Thalham are not available. The most important person in charge from the SS at the Mühldorf camp was SS-Sturmbannführer Walter Adolf Langleist, former commander of the guard team at Lublin-Majdanek concentration camp and from September to November 1944 commander of the Kauflinger complex. Every single one of the four Mühldorfer camps had a camp leader, partly they wee older SS members, but partly enlisted men from the Wehrmacht which had been transferred to the SS. The number of SS guards in itself were not large in comparison to the number of prisoners on this project . On the main construction site were usually not more than 20 SS-men, who blocked off the area, while Kapos, German foremen and OT-members oversaw the work of the prisoners. In camp M I, about 120 SS people were stationed, about 105 were active in the forest camp. From July 24, 1944, 8,300 prisoners, including about 7,500 males and about 500 females, were imprisoned in the camps around Mühldorf. While the camp M I was built at Mettenheim by July, 1944, it was was first mentioned in reports during August 1944. Mittergars, whose existence is recorded from October 1944 to the end of April 1945, had around 300 prisoners, who all worked for the OT construction management. As to Thalham, according to the ITS documents (falsely called Thalheim), documentary wise, it is mentioned at the end of January 1945 till April 1945. Other records indicate the activity of prisoners construction work for the OT Mühldirf. From the statement of an SS Rottenführer shows that at least 42 prisoners, but perhaps as many as 100 to 200 people were locked up there. Female prisoners were only found in the camps M I and Waldlager V, VI. The misunderstandings between male and female prisoners reflects, on the one hand, the labor needs of the organization Todt - construction work - remains scarce and, on the other hand, the generally poorer survival conditions for women during the Auschwitz selection to be sent to a construction site of these proportions. In the summer of 1944 the first transport with 1,000 Hungarian Jewish prisoners from Auschwitz arrived and taken into the half-finished camp M I. The camp Mettenheim (M I) was first mentioned on 28 July 1944. Soon the number of people was increased to 2,000 men. Sinceprisoners were registered in the four Mühldorfer camps, as well as 60 men in the Zangberg monastery. The number of male prisoners of the sub-camps M Enter Picturehttps://de.wiki September 25, 1944, a women's camp with 500 female prisoners existed there. An average of 2,000 men and 250 women were imprisoned at the Waldlager. On April 3, 1945, 4,233 male and 295 female KZ- ühldorf, three weeks later, shows how strongly the movement within the prisoners' society was until the end of the war. Now it amounted to 4.929. Living conditions in the Mühldorfer sub-camps can be described as catastrophic without exaggeration. The interior facilities of the huts was limited to floor boards with straw coverings and a stove. In the winter, firewood or heating material was missing, rain and snow were penetrating the roofs of the earth-huts The food supply by the organization Todt was completely inadequate. In addition, the camp commandant Langleist ordered that the sick prisoners were to withdraw from the OT pledge to feed them, and instead merely provide them food according to the KZ-GGuidance rates for the ailing. Extract of the Müldorf Death List, used as evidennce during the triakls. On the construction sites there were no washing facilities or toilets for the KZ-prisoners. Only when a typhus epidemic arose, the OT construction supervisor ordered the construction of latrines on the buildinb site 'Weingut I'. There wwas no running water in at least two of the four Mühldorfer KZ-sub-camps. The water which was brought into the camps in barrels could only be used for cooking. Due to the lack of washing facilities many prisoners were affected by vermin, (mainly lice) while spotted fever and typhus spread rapidly as a consequence. A quarantine of the forest camp was rescinded by an SS doctor from Dachau, so that the work on the bunker construction could be continued. A German survivor described an auxiliary site in Ampfing, where the company Wayes & Freytag manufactured concrete slabs: "As a medic on this site, I have ro state, that a number of youthful prisoners, who were 14 to 18-year-olds Hungarian Jews while at work on the construction site have died. As far as the entire population of Ampfing can confirm, we returned to the camp every day in the winter months, with several dead and often with completely exhausted prisoners who were unable to go alone'. The company had made the conditions even more difficult by extending the working day by an hour. The medical care, for the Mühldorfer camps was in the hands of the Organization Todt. First in the autumn of 1944 was Dr. Erika Flocken, an OT-physician. In Mühldorf, she carried out selections with prisoners. On 25 September 1944, 277 male Jewish prisoners and three Jewesses went to Auschwitz on 'Invalid transport' (meaning sick and unable to work), on 25 October, a month later, 554 male prisoners and one woman also went to Auschwitz. There they were murdered. The OT had thus become a helper to the SS, and contributed to the murder of the people who had been to Germany because of their race and used as low cost disposal labour on this gigantic construction projects of the OT. Like the Kaufinger camp, the Mühldorfer subsidiary represent a new type of camp, in which the SS - apart from providing of guard personnel - had fallen aside from any other responsibility. The organization Todt undertook the projects and determined work-timing (Arbeitstempo), construction of different types of camps, nutrition and medical care, as well as selections of those no longer able-bodied prisoners for disposal. Towards the end of the war, the head of RSHA Kaltenbrunner, under the code name 'Aktion Wolkenbrand', had a plan for the murder of the Jewish prisoners in Kaufering and Mühldorf. As this proved to be impracticable, the prisoners were evacuated from the Mühldorfer camp. One of the evacuation transports by train led to Poing in the Ebersberg district near Munich. On April 28th, 1945, the train stopped at Poing station to wait for an additional locomotive. The prisoners thought the war was over and left the wagons, this was not stopped by SS guards. When the prisoners had moved about 300 meters away from the train, the guard detachments began to open fire over their heads. In the case of this erroneous early dismissal of the prisoners or by an American fighter plane which attacked and strafed the train until there were no movements of running people, with some 200 prisoners were said to have been injured and killed. In Seehaupt, Tutzing and Feldafing on Lake Starnberg the last Mühldorfer prisoners, what was left of them, were finally liberated at the end of April 1945 and early May. The contacts with the population were extremely limited. Anyone who was able to speak German and who knew Germans as part of the assistance during the harvest-season (Ernte-Einsatz) or clearing work after bomb attacks , was able to find help, but often also indifference and rejection. It is documented that the camp leader of forest camps V, VI, Hauptmann Ostermann, had a woman arrested by the gendarme from Ampfing, because she had distributed fruit to a column of Jewish prisoners despite the ban. The American Mühldorf trial had special rules, if not peculiar in that it brought members of SS, OT and the construction company Polensky & Zöllmer to the 'Bench of the Accused' (Anklagebank). Only part of the death sentences against SS members were finally carried out. Other death sentences against the OT doctor Dr Erike Flocken were commuted to imprisonment. The architect and head of OT Einsatzgruppe VI, Professor Hermann Giesler, was originally sentenced to 20 years' imprisonment, but released during the 1950s. 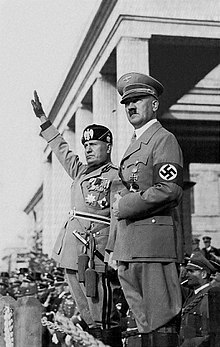 He had defended himself by pointing out to Hitler that such a monstrous construction undertaking could not be carried out with Jewish merchants and lawyers. In another US military court case, the rapport leader of the camp M I, SS Oberscharführer Georg Schallermair, was sentenced to death and hanged in Landsberg am Lech in 1951. In 958 the last members of the SS who were involved with Mühldorf and OT-employees were set free. German investigations by the Prosecutor's Office, Traunstein, Munich I, and Munich II as well as Frankfurt against camp leaders, functionaries, OT employees and thos of the construction companies, as well as the police, did not lead to any process. While hardly any traces can be found of the camps, the remnants of the concrete arch of the Rüdtungs project in Mühldorf are listed as historical monuments. The building history of the bunkers and the forest camp was made highlighted by students of the Fachschule Munich in a new dimension and developed proposals for the preservation of the place and the design of a memorial. Local initiatives and the Bayrische Gedenkstätten Foundation are striving to create a memorial site. After the war the US Army's Dachau Military Tribunal prosecuted perpetrators of war crimes in connection with the Weingut I project and the associated concentration and labor camps in the Mühldorf Trial (de), which was one of the Dachau Trials. Among the accused were members of Polensky & Zöllner's administration, including Karl Bachmann, Director of the Munich branch of P & Z; Karl Gickeleiter, who oversaw construction at the main site; and Otto Sperling, construction foreman. The sentencing was performed on 13 May 1947. The charges against Karl Bachmann were dropped, as his involvement in the maltreatment of the prisoners could not be proven. Gickeleiter was sentenced to a 20-year prison term, which would be reduced to 10 years in 1951 before he was released early on 19 July 1952. The death sentence against Sperling was shortly thereafter shortened to life imprisonment and later reduced even further before he was finally released on 20 July 1957. The ruins of the bunker complex can still be seen in the woods near Mettenheim, although much material from the site has been scavenged in the intervening years by local companies for other building projects. The grounds entered the public eye again in the 1980s, when rumors began to circulate that chemical agents of the Wehrmacht had been stored in the tunnels of the complex after the war. This was not confirmed by the authorities until 1987; the chemicals, including CLARK 2, were subsequently removed. In 1992, the Bundesvermögensverwaltung (Federal Property Administration, an agency that has since been superseded by the Bundesanstalt für Immobilienaufgaben) proposed to demolish the bunker. Although the communities of Mettenheim and Ampfing endorsed the demolition, many others opposed the proposal, and it was rejected by the government of Upper Bavaria. In the meantime the bunker grounds had been added to the Bavarian list of monuments as a memorial to the victims of Nazi atrocities. 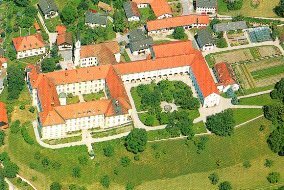 Today the Mühldorf District Catholic Education Center (Katholische Kreisbildungswerk Mühldorf) administers occasional tours of the bunker grounds and the former concentration camp.